Come for Christmas Fun on Thursday! Thursday, Dec. 1, from 9 to 11 a.m.
You won't want to miss this time of food and fun as we prepare for the Christmas season. We'll talk about how to regain the joy and excitement of Advent—even amidst the busyness of the Christmas season. And let's be honest, Christmas can be BUSY, especially for moms like you. 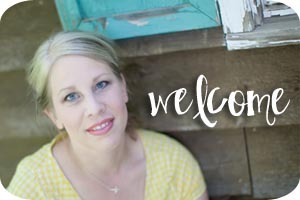 So come and get some ideas for recipes, decorating and how to share the wonder of Christ's birth with your family. The event is free, but there is a small fee for childcare: $3 for one child, $5 for two or more. No RVSP needed this time—just show up! I hope I'll see you there. 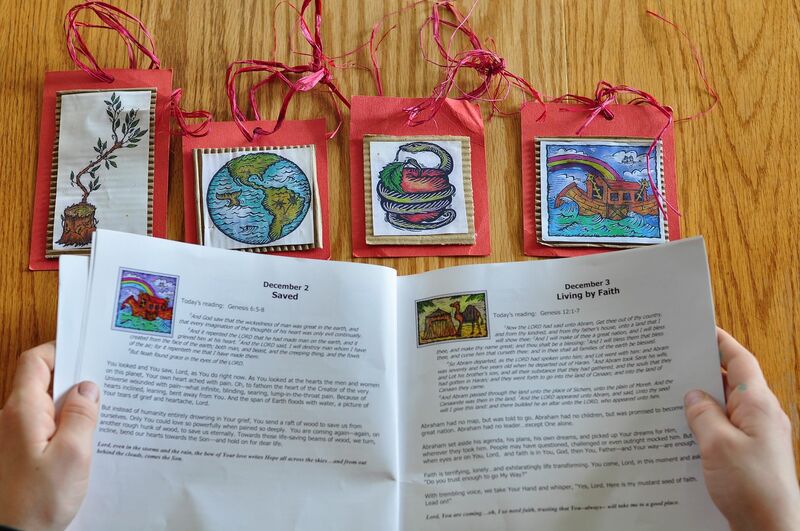 If you can't make the Dec. 6 ADORN crafts class, you've got another chance. I'm offering a second date for the class. The events will be identical (except for the date). Sign up for the class on THURSDAY, DEC. 15, 6-9 p.m. Advent calendar ideas from The Crafty Crow. The Cradle to the Cross Wreath (that can also be used during Lent) from Ann Voskamp's family. I want one of these SO badly! You can read more about it in this post. I am thankful for so many loved ones. Dear friends and family whose relationships fill my life with joy, encouragement, laughter, wisdom and hope. But these are the faces that I am especially thankful on this Thanksgiving Day. There are few spots left in the Dec. 6 ADORN class. See full details on this post. Also, please let me know if you are interested in the class, but the Dec. 6 date just wasn't a good time for you. I am planning a second class date for those who are interested. 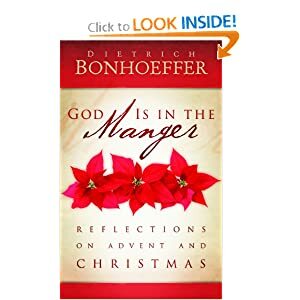 This is my favorite book to read at Advent. Watch for the Light This book has lovely readings and reflections for each day of Advent. For the family, highly suggest this book. 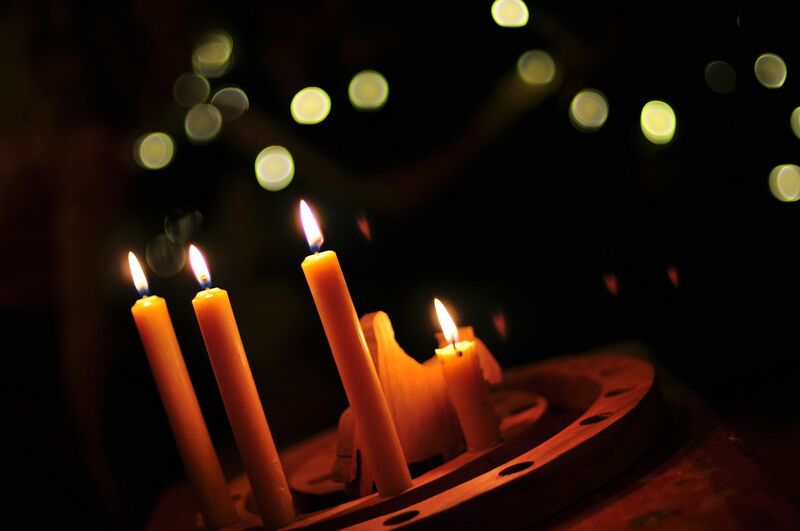 It focuses around an advent wreath/candles. Each week is themed around the candle (hope, peace, love, joy) for that week. Each day includes scripture, reflection text and prayer. These are short and easy to read and understand so although it is not specifically geared towards very young children, they can understand it. I feel like this is going to be a great one to use through the years because it is written in a way that both children and adults gain something from each reading. There are also easy family activities and Christmas trivia included. I'm also going to be reading through this book. This one is on it's way from Amazon as I type. I'll post more as a I read. Do you have any Advent book suggestions? I saw several new ones on Amazon this year...do tell if you've read a good one! A couple of months ago....I got into recovering my pillows. Pink tulle draped in the dining room (totally reusable)...and a hand-crocheted tablecloth made by my grandmother, who recently passed away. It was my wedding gift. White gloves for each young lady. The tea ladies with their dolls and fabulous hats. My vintage hat collection by the front door. Each girl got to select one to wear at tea. China dishes that belonged to my other grandmother. Love that both my dear grannies were part of this day. They were so giggly....but also trying to act very "proper" and "ladylike." The party was so much fun. It was especially great since my mom and dad were in town over the weekend. Papa took Jack to the train museum. Memaw was a tea servant with me at the party. I LOVE that she is always game to get dressed up and play the part. Memaw and Papa left last night back to Calif...we already miss you. Today, my first baby turns six! Today you turn 6 years old. I am so thankful for you and for the special part you play in our family. You were my first baby...the first to make me a mother. I could not have asked for a better girl to fill that role. You are a wonderful friend to your girl pals. You are a helpful and tender sister to Beth. You are a playful and tolerant (most of the time) sister to Jack. You continue to be a joyful and enthusiastic girl who thinks positively and looks for the good. You have a tender, teachable heart. You LOVE fashion and are fabulous at coordinating outfits. You are a girlie-girl, but a true nature-girl, too. You love to craft (can I get an Amen!). You love American Girls, Hello Kitty and Wonder Woman. You are courageous, kind, inventive and confident. Happy 6th Birthday! I love you more than words can express. LOCATION: My home in Arvada, Colo.
INCLUDES: A full day of instruction and hands-on application, a binder of instruction material and patterns, and deliciously prepared food. WHO IS THE CLASS FOR? : Women who want to learn to sew. Or those who learned years ago and need a refresher. WHAT WILL WE MAKE: We will make three projects that are yours to take home. WHAT TO BRING: You will need to bring fabric and some sewing tools. A supply list will be provided once you are registered. SEWING MACHINE: You do not have to own a sewing machine to take this class! But if you do own one, bring it, or borrow from a friend! If you are unable to bring one, I will provide one for you. I'll teach you how to show that thing who's boss! CLASS SIZE: The class size will be limited to 8 attendees. HOW TO REGISTER: Email me at janna@mustardseedswriting.com. Registration fee to be made by check only.